The theme this year is "New Digital Horizons Connect, Create, Innovate”, aimed to build upon forging industry relationships between key partners, and to showcase leading-edge technologies. With the 5G launch looming large over the Indian subcontinent, the Indian Mobile Congress organised by COAI will deliberate upon how the world of connected devices will play out. 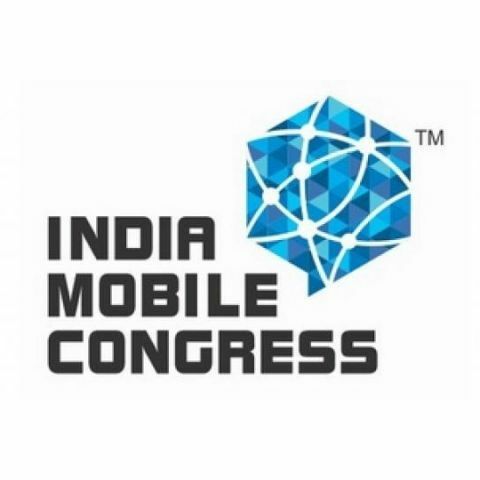 Now in its second edition, the Indian Mobile Congress (IMC 2018) will kick off from October 25 in New Delhi. The digital forum claimed to be South Asia’s largest will see industry partners, OEMs, service providers, policymakers and the likes, collaborate and debate over how the emerging technologies like 5G and Artificial Intelligence will play out in the Indian context. 5G is clearly the big highlight of the symposium. The theme this year is "New Digital Horizons Connect, Create, Innovate”, aimed to build upon forging industry relationships between key partners, and to showcase leading-edge technology. Major companies like Samsung, Erricsson, Nokia, Huawei, Honor, etc. will showcase their road-maps and define how the emerging technology will impact various sectors and markets. Samsung is the principal sponsor of the event. The digital forum will see Samsung’s President and Head of Samsung Networks, Dr. Youngky Kim give a keynote speech at the inauguration. There will also be booths to showcase the company’s progress in enabling 5G technologies, both in the backend and the front-end side. There will be demos of a connected home, stadium, city, farm and more at the event. Huawei, also a key industry partner in forwarding the agenda of a connected world, will showcase it’s own vision of the 5G era. Huawei will demonstrate its industry leading technologies and innovations to paint a vision of a connected, intelligent world. Three business groups of the Chinese conglomerate will be present at IMC 2018 — Telecom, Enterprises and consumers. Huawei will also showcase technologies in the space of smart cities, IoT, Home broadband and consumer devices with live demos of 5G applications and scenarios. In a similar note, Ericsson will also showcase how its mobile technologies are poised to transform the way businesses, individuals and industries communicate. The company will showcase some “Developed in India” 5G use cases which has been a result of the company’s collaboration with the country’s telecom providers, industry partners and academia. Preceding the event, the company announced a tie-up with BSNL to bring 5G to India by signing an MoU to work together and create a roadmap for 5G and IoT deployment across the country. Qualcomm is also a key participant in the digital forum and will showcase some its innovations across 5G, IoT and mobile. The company’s SVP of 4G/5G, Dr. Durga Malladi will be present to deliver a keynote speech along with Rajen Vagadia, Country Manager of Qualcomm India and SAARC, and other top-level executives. Huawei’s sub-brand Honor will also be present at IMC 2018. The company’s Vice President of Sales, Mr. P Sanjeev will participate in a public discourse on “Gadgets of Tomorrow — Connected Intelligence” along with other industry delegates on Day 1. Another popular chipset maker, MediaTek will also be present. The company’s General Manager of Wireless Communications, TL Lee will be engaging in a session on MediaTek’s AI technology. The company will also have a booth to showcase its latest innovations. There will be over 300 exhibitors and over 190 speakers participating in the event. Registration is open for the forum and can be done via the official website.